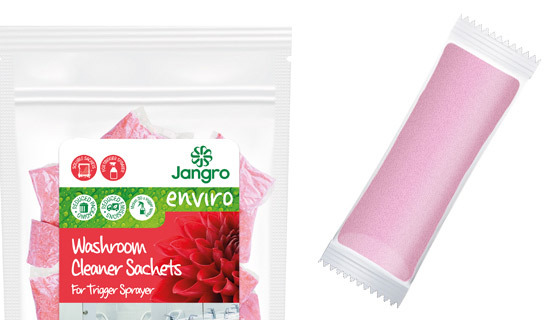 The acclaimed Enviro range from Jangro has seen yet another improvement to the way you buy, use and store your chemicals. 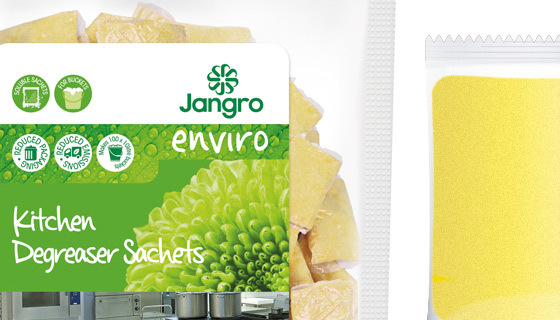 The innovative soluble product reduces packaging, carbon emissions and your expenditure. 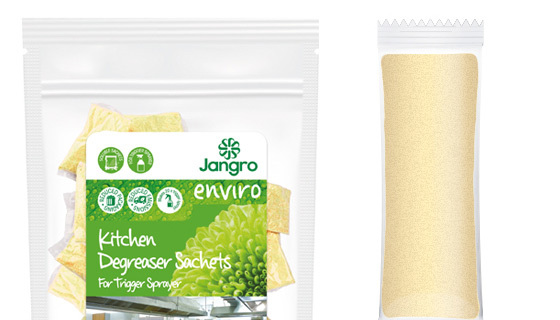 Bactericidal cleaner and sanatisers for all kitchen surfaces and food preparation areas. Allow 5 mins contact time and rinse clean. Developed for cleaning, degreasing and shining it leaves surfaces sparkling. 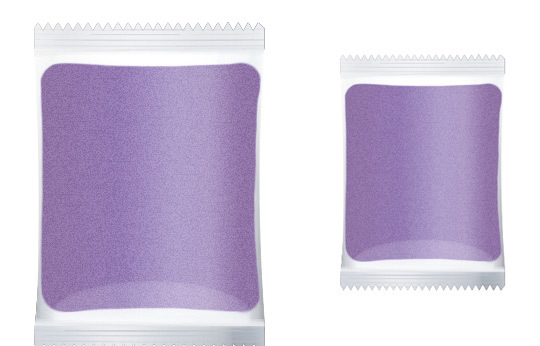 It is quick drying and leaves no smears. 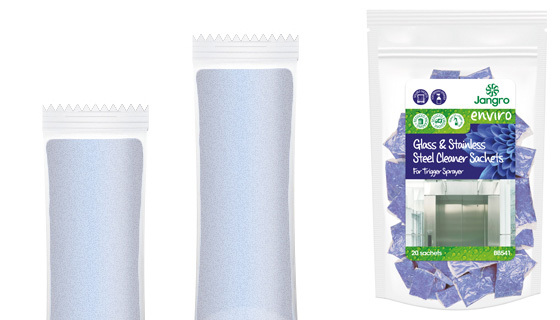 For regular cleaning of all surfaces in the bathroom / washroom it helps remove soap scum and prevent limescale. 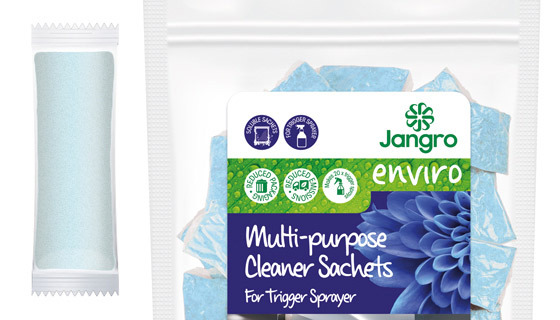 Powerful detergent and degreaser formulation to clean, degrease and deodorise washable surfaces including tiles, floors, cooker hoods and extraction systems. 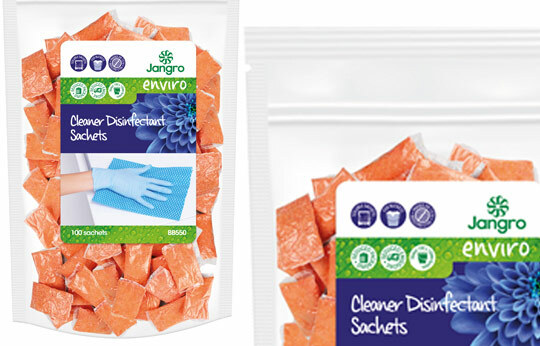 Deodorising detergent for disinfection, decontamination and cleaning floors in health, hospital and catering sectors. EN 1276 Allow 5 min contact time and rinse clean. Designed for regular cleaning of polished floors and sensitive surfaces it is popular due to its PH score which is neither acidic or alkaline and cleans floors without damage. 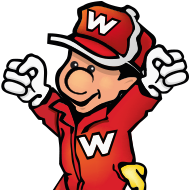 Affordable: with cost saving measures on transportation, accurate dosage and reduced water costs, you can save money every time you clean. Get in touch today to see how you could save money and space. Effectively cleans heavy traffic soil, oil and grease. It is a popular all round solution to the most common dirt problems around any building. 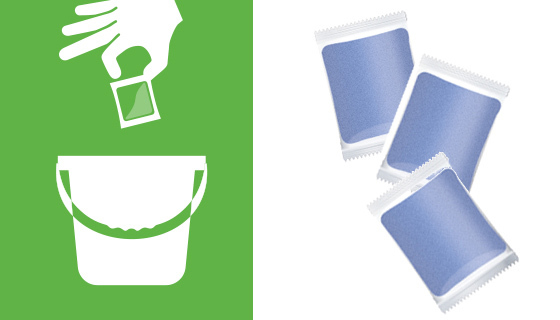 Created to clean and degrease food preparation equipment and contact surfaces. For cleaning, degreasing and shining most surfaces this multi-use chemical is quick drying and leaves no smears. 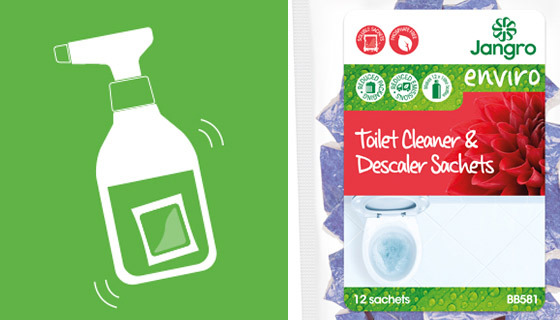 The scented sulphamic acid based toilet cleaner and descaler with thixotropic properties that rapidly removes limescale general soiling from toilets and urinals.